Capt. Dan Luckett, 27, of Norcross, Ga., takes a seat at Combat Outpost Ashoqeh in Afghanistan's Kandahar province. 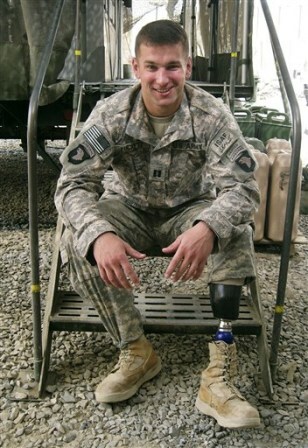 Luckett lost his left leg and part of his right foot in a bomb blast in Iraq in 2008.